The Coast To Coast Walk is a 192 mile long distance trail that spans across northern England. The trail was devised by Alfred Wainwright in 1973 - it begins at St. Bees on the west coast, and ends at Robin Hood's Bay on the other side. The routes passes through three major national parks along the way: the Lake District, Yorkshire Dales, and North York Moors. The overall difficulty of the walk is moderate, but specific trail features can affect this significantly. Terrain is mild in parts, but also contains several mountainous regions. Navigation can be tricky in the Lake District, but is very straightforward in the North York Moors. 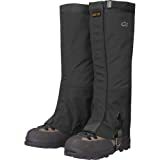 Water, resupply, and accommodation are all fairly simple, as the walk goes through many towns, so these should aid the hiker in finishing the entire trail. The terrain can usually be described as hilly, but is also flat for significant portions near towns, and reaches tall mountains in other sections. The highest point is Kidsty Pike at 2,560 ft elevation. The actual route is somewhat unofficial, and so hikers can devise their own path if needed. If weather does not permit easy passage on the higher mountains, there are normally safe alternative routes available (on roads or side trails). Since the route passes through numerous villages and trails, hikers can almost certain fill up on drinking water very often. 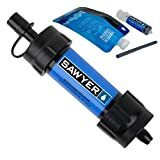 With such plentiful supply, it is practically unnecessary to bring any sort of water filtration system, though more prudent hikers may wish to carry a lightweight backup for emergency situations. As with drinking water, resupply is quite simple from the frequent town crossings. Basic food will be available daily. However, more specialized outdoors supplies will be harder to find, so if that type of resupply is necessary, you may need to determine that information ahead of time. Some of the larger towns have outdoors stores, but these are less frequent. Similar to the rest of the region, the temperature range while in season is very pleasant for hiking (highs around 60F), and chilly in the nights (lows around 40F). There is typically much rain, but it is usually light and misty. Larger storms are more rare, but the amount of rain is enough to soak hikers regardless. Most accommodation has dry rooms that can be used to dry out clothing, gear, and boots, before moving on to the next day of hiking. The trail out of St. Bees starts out with basic signposting labeled C2C (coast to coast). However, as the trail gets into the Lake District, the route indications are much more sparse. A detailed map and compass are necessities on this trail. Additionally, certain regions can be very dangerous to navigate in low visibility (which is why mountain rescue exists in the first place). In those cases, a GPS is extremely useful for effective navigation. This atlas contains detailed 1:25k maps for the entirety of the route. Also includes basic information on towns, hostels, etc. in the surrounding area. The most significant hazards present on this trail are related to weather conditions. High winds, coupled with very wet conditions, can be life-threatening in certain cases. Additionally, the combined low visibility can make navigation in the mountains almost impossible, even for very experienced hikers. Other less severe hazards include ticks, midges, and tons of sheep. The Coast To Coast Walk is one of the most popular long distance trails in England, and also attracts many hikers from around the world. It is certainly less popular than the more famous trails, but still draws a considerable crowd. On a typical thru-hike of about two weeks, you might meet 10-20 other thru-hikers. There are also many hikers that are just out hiking for the day, or perhaps looking to complete a shorter section. England is a very well-connected country. As you pass through towns, you will normally have access to bus routes that connect to larger towns. In case of emergency, you are never too far from civilization - except in the mountains, in which mountain rescue is necessary in emergency situations. Otherwise, trail access is typically straightforward. With the route passing through many towns, most local thru-hikers will opt to stay at hotels, hostels, or B&Bs each night, and have gear transported to each successive stay. This allows easier hiking without needing to carry backpacking gear, and also ensures that you can dry off and get a proper meal each night. In the high season, much of the accommodation can easily fill up - especially on holidays and weekends. If you do not carry camping gear, you should make reservations in advance. Otherwise, there are plenty of areas along the trail for easy wild camping, but make sure to avoid private property.